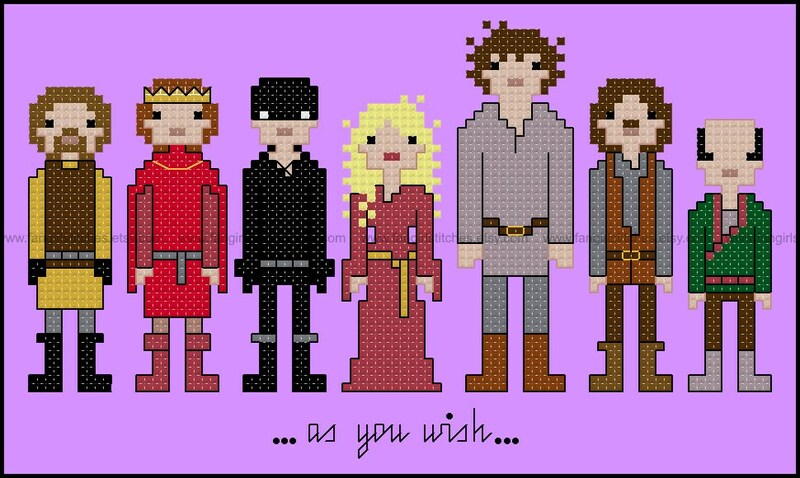 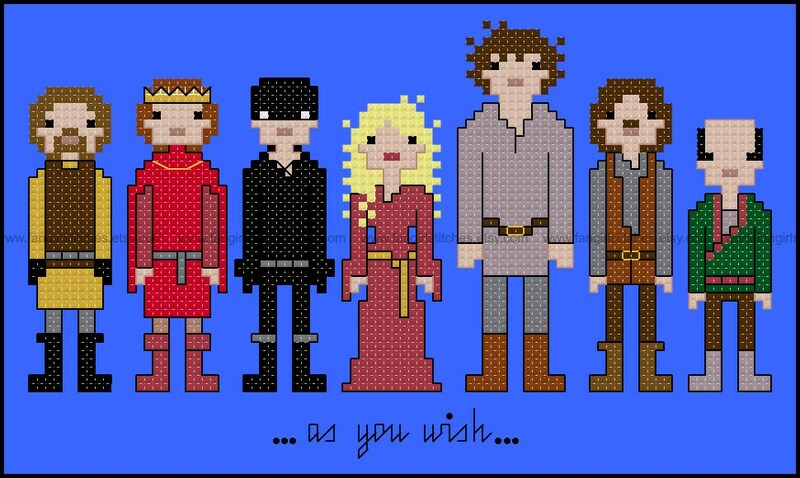 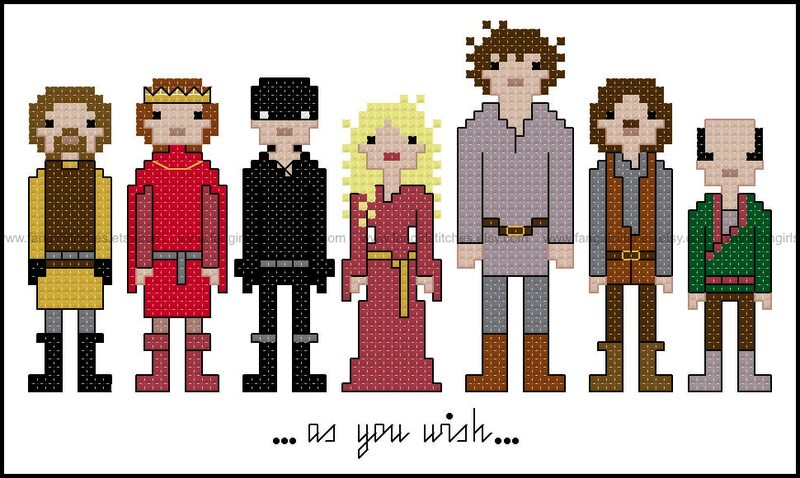 Recreate the characters of the cult classic "The Princess Bride" with this cross stitch pattern. This design includes whole stitch, back stitch, a few fractional stitches (and one French knot), and is suitable for beginners. 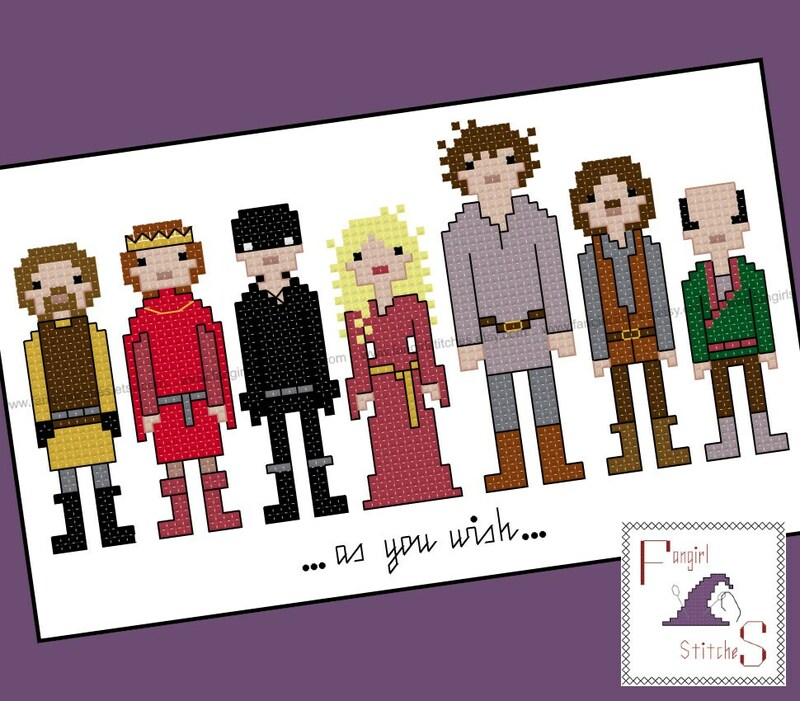 As described, really enjoying stitching this!